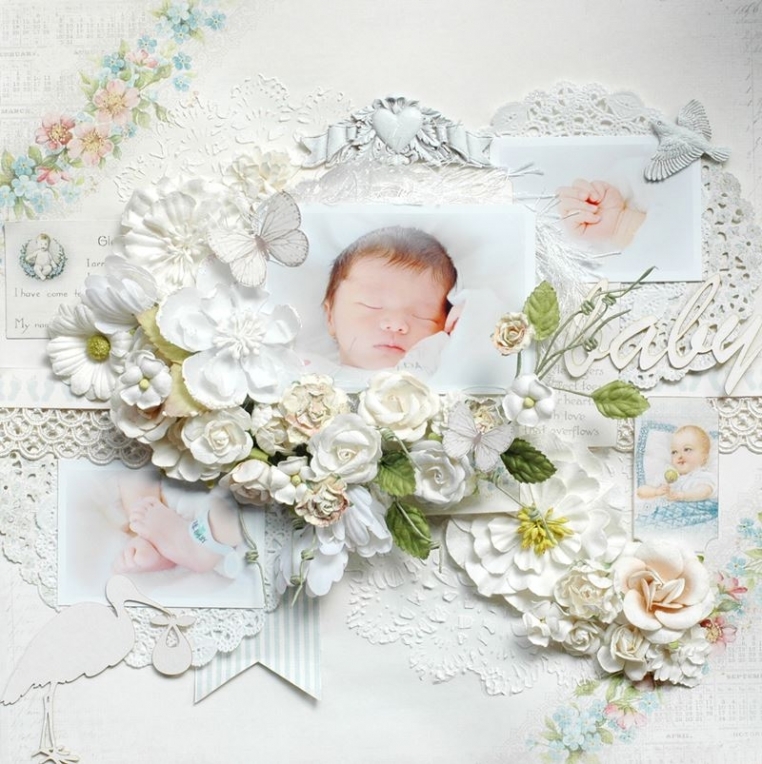 Here is my Layout using Sweet Baby collection. These papers are so soft and sweet. I love them. The photos are of the third son of mine. He was born on July 8, this year. I am very glad to make a layout for his photo using these papers.